Autumn is underway and for many farmers it’s the busiest, most exciting time of the year – harvest time! Agriculture ranks among one of the most hazardous industries in America. Agriculture fatalities were 14 percent higher in 2014 compared to 2013. With a workplace fatality rate of more than 24 per 100,000 workers, it’s time that the agricultural industry places more emphasis on safety labels and warnings on farm machinery and equipment. While the most common source of deaths and injuries on the farm are from tractor rollovers, which can be prevented by roll cages and seat belts – many other injuries and fatalities can be prevented with the simple use of clear, easy to read safety labels. Most manufacturers of farm equipment take many steps to ensure their machinery is safe, but sometimes not all hazards can be completely eliminated with a safety label. However, having these labels in place is a good start. Before starting any work on farm machinery, make sure you’re paying attention to all the warnings as obvious as they may seem. If you take the time to read and understand all the safety label information, you can prevent careless accidents and fatalities. For nearly 70 years, U.S. Nameplate has been a preferred supplier to many of the most trusted names in the farming industry. 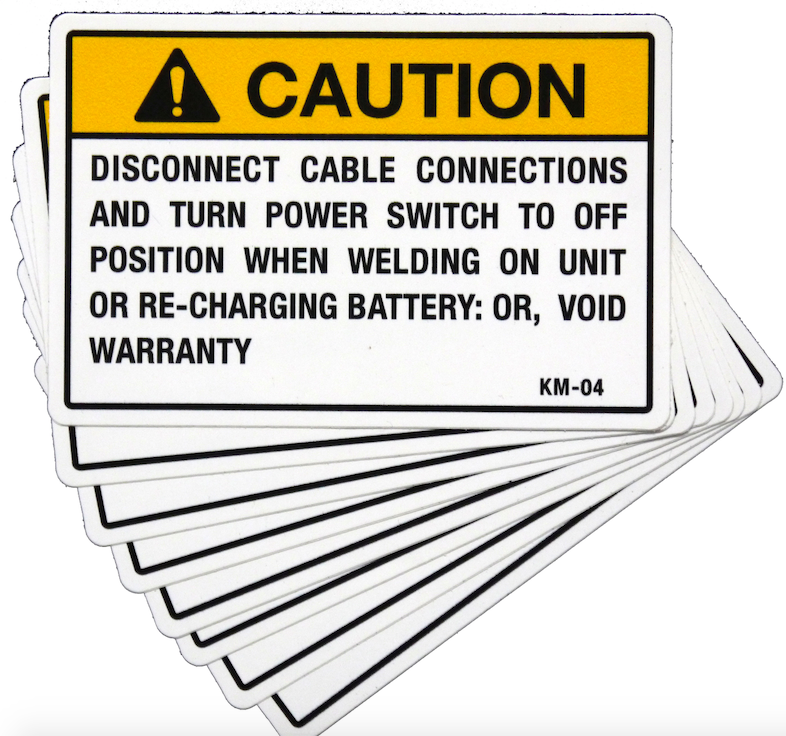 Our safety labels and nameplates are manufactured based upon many contributing factors and needs including life expectancy, environmental factors, and surface application. Our safety labels can be produced at almost any size and can be digitally cut to custom shapes. They also come in a variety of materials, finishes, colors, and adhesives. Having safety labels and warnings in place on your farm equipment protects yourself, your family, and your farming operation. Always put safety first. Call or contact U.S. Nameplate today to see how we can help keep you safe with the use of effective, high quality safety labels and industrial nameplates!